If you're looking for classy invitations but have a tight budget, our write your wedding stationery range is the perfect solution without compromising on luxury, up to date trends or quality. 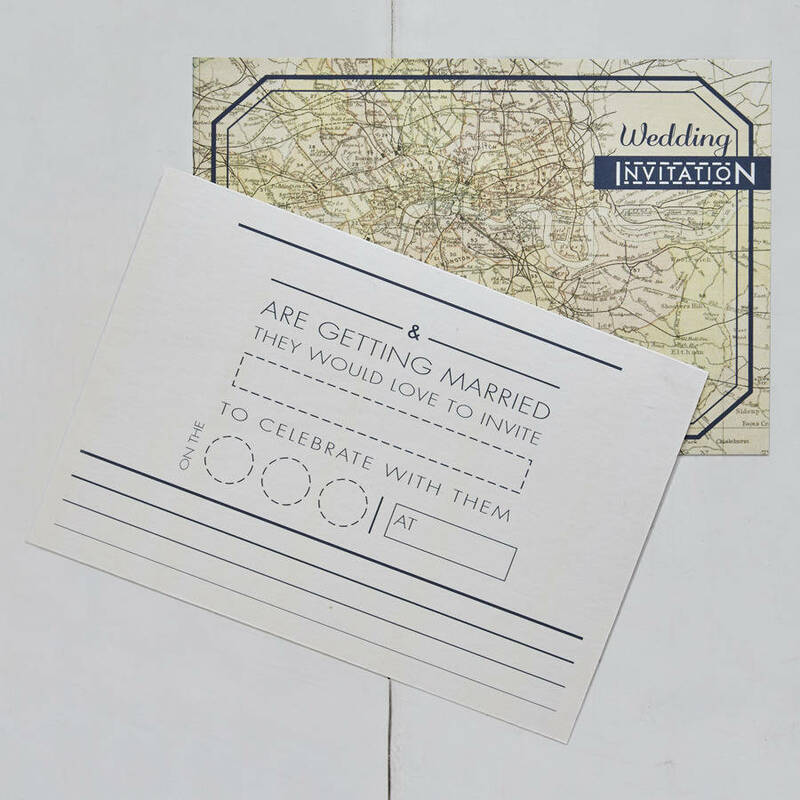 Writing your own guests names and information means you can cut costs of your wedding stationery. 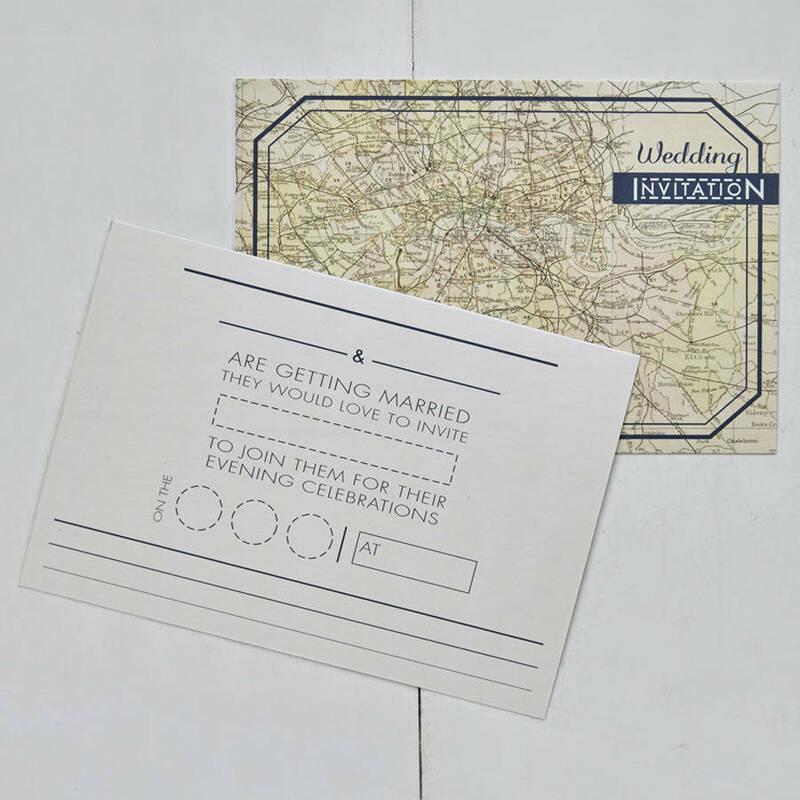 Our Vintage London range is printed onto luxuriously thick natural off white 320gsm card, which is 100% recycled and has a lovely textured feel. 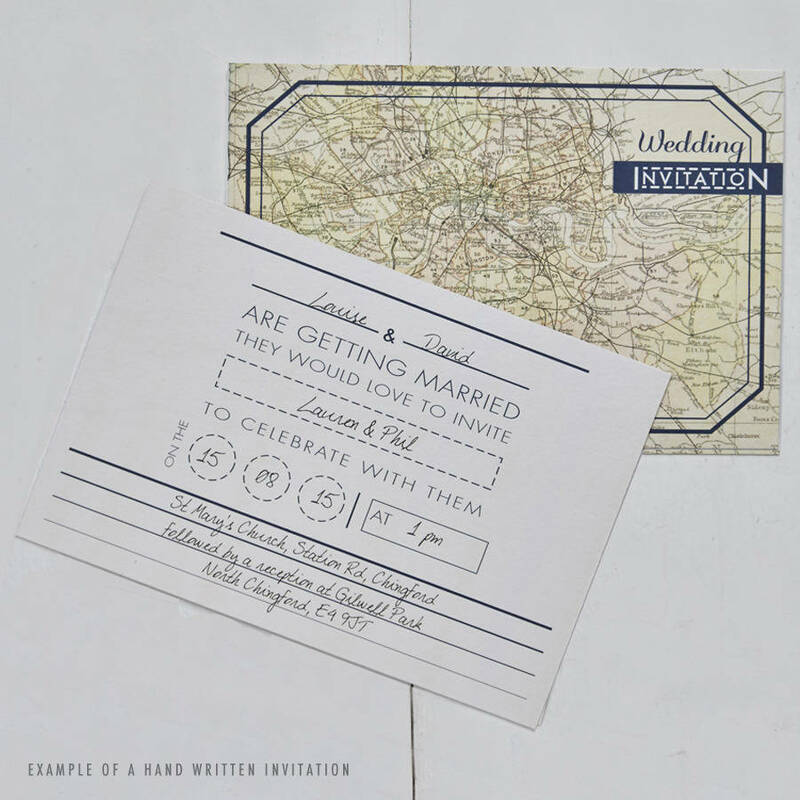 Please note that orders of personalised RSVPs and personalised information cards from our write your own packs will only be accepted if invitations from the same range have been purchased. 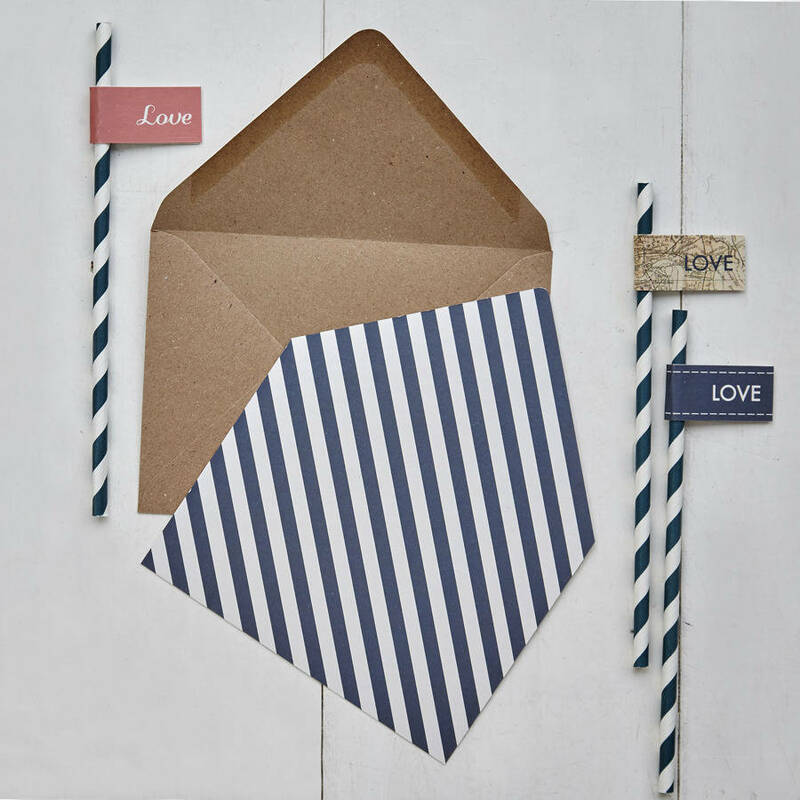 The items are sold in quantitiies of 10 with brown kraft envelopes included (envelope liner comes seperately). 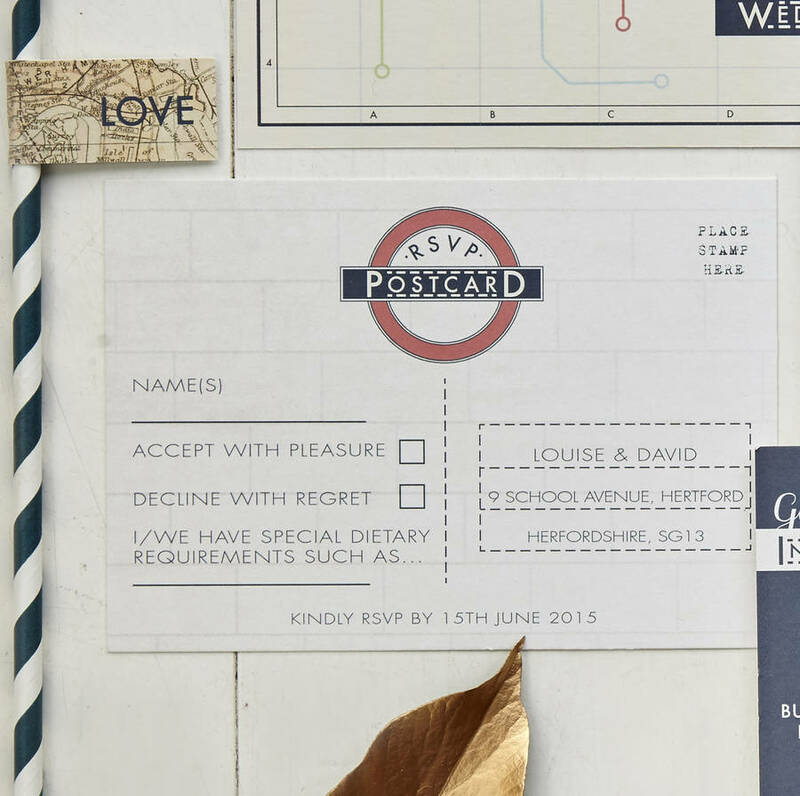 Orders of personalised RSVPs and information cards from this range will only be accepted if invitations have been ordered from the same range. Please allow between 21-28 days from order to dispatch for personalised items. 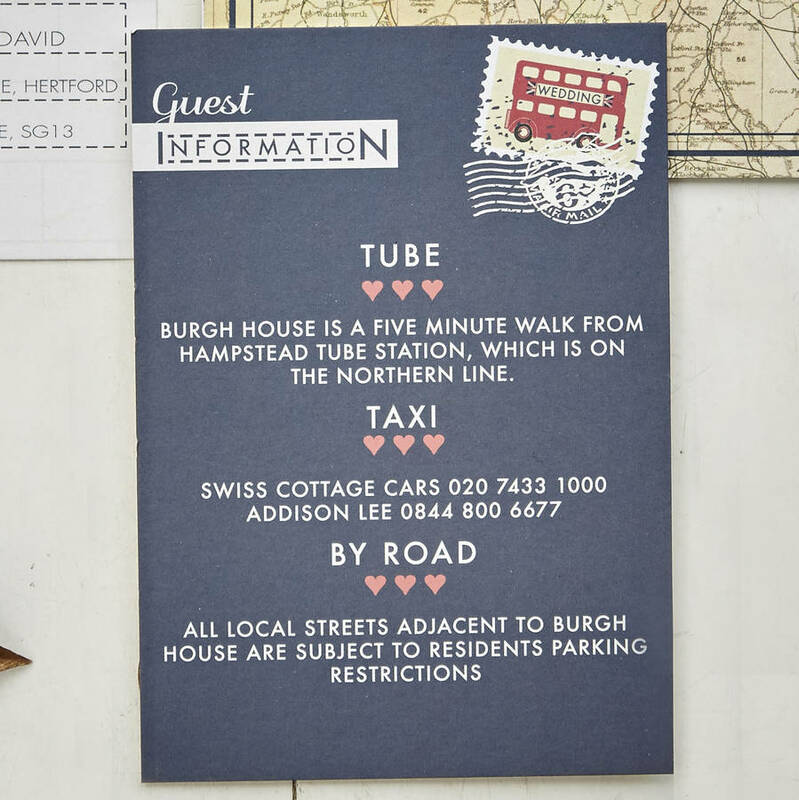 If you would like a fully personalised service ie. 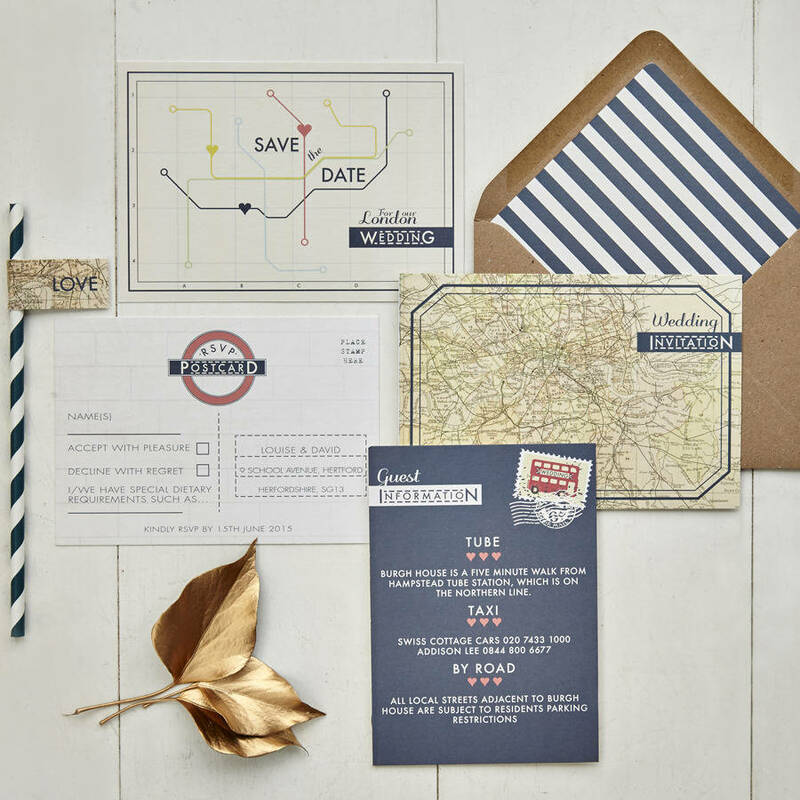 Invitations or save the dates, with your bespoke text laid out, please do message us for a quote.